Today was busy with all kinds of goings ons. Most importantly though I was able to sleep in and that was so nice. I was in bed by 9:30 last night and slept until 9 this morning. Heaven! I was out the door by 10. There was cat food to procure and a haircut to be had. Bangs are back and I have them. 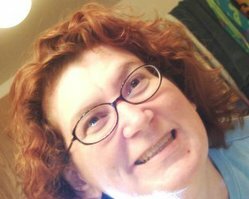 Though I did forget about the horrible cowlick I have until the bangs were already cut. Oh well, that's what hair products and curling irons are for. Right? At least it will grow out, eventually. Since I was out and about anyway, I thought I would drive over to St. Paul to check out the winter carnival. Why does it seem so much cooler on TV and in the paper than in person? Yesterday the high was almost 40 so a lot of ice sculptures and things melted and fell apart. Today, it was 12 degrees at noon and everyone was bundled to the point of walking like penguins. 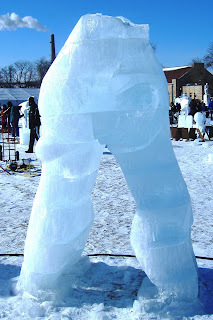 I walked around and looked at the snow and ice sculptors. There was a giant snow slide. They made kids wear helmets as they rode down the hill on a plastic sled. That just seemed silly. Still, the kids seemed to be having fun. There were some sculptures from yesterday that were broken and crumbled. But there were sculptors working on new, bigger, and better creations. They use chainsaws and irons. It was cool to see 200 pound blocks of ice being turned into beautiful, etched, and sparkly creations. I was glad I wasn't an ice sculptor today though. While carving the ice with a chainsaw, one guy was just covered in ice shavings. Another guy was etching some detail into the ice and it just seemed like a lot of work to do on something that is just going to melt on the first day with temps in the 30s. 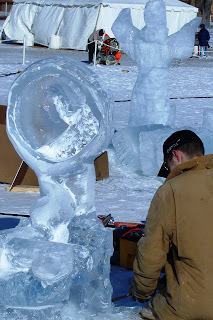 Still, it was cool to see the ideas these sculptors had come to live in ice before our eyes. There was supposed to be a giant ice maze at this place, but either I didn't see it, didn't walk in the right direction to find it, or it was actually in another location. It would have been cool to see and maybe even walk through. 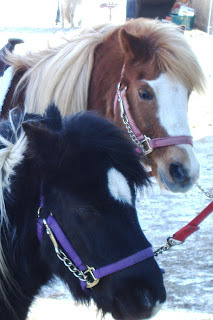 They did have pony rides though. It was cute to see these well-bundled up kids sitting atop fuzzy little ponies. The company that brought the ponies also brought an awesome Great Pyranese. It was almost as big as a couple of the ponies there. Some ladies came over the pet him and asked me if I knew what kind of dog he was. I told them what kind and as I was talking, he leaned on one of the ladies and she laughed. "Oh, he's a leaner," she said. I laughed and said, "This breed is a herding dog. He's trying to keep you with your herd." The rest of her friends laughed and said he would have his work cut out because they are forever losing her. We all laughed and they moved on. There was another attraction at the carnival and it was supremely Minnesotan. 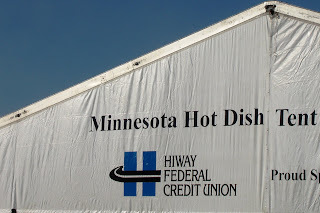 The Minnesota Hot Dish tent. It was a place to warm up, listen to live music and taste one of the dishes Minnesota is most known for. I speak of, The Hot Dish! I did not partake. When I walked by, I heard the jazzy sounds of some Dixieland jazz. Nothing heats up a cold winter day like some Dixieland. The joint was jumping with it. Once I left Harriet Island, I went back home to make some lunch and warm up. Bob was still sleeping so I made him an egg sandwich for later. Even if he wakes up after noon, he wants breakfast food for his first meal of the day. I heated up a left over baked potato and spooned some chili over it. It was the perfect lunch on this blustery day. Bob left for the station and I went out yet again. This time I was going grocery shopping. I made a menu of meus for the next two weeks and created a grocery list based on what we needed from the menu. Because of the money class we are taking, we have establisted a grocery budget. I wasn't sure if I could get all the things on our list and still stay within budget. How'd I do? Well, I used a calculator and stayed strictly to the list and got everything on it with about $1.55 left over. I am a shopping guru. Once home, I put everything away and started diner. 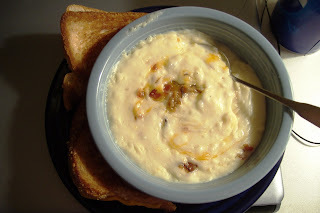 I made a potato soup and grilled cheese sandwiches. the soup was good but got a little too thick upon standing. I can add milk to the leftovers and it should be OK. I am making swiss steak in the crockpot for dinner tomorrow night. Even thick the soup was quite tasty. It was the perfect compliment to the quinticential winter day. Do you have a recipe for that potato soup? It looks great! !